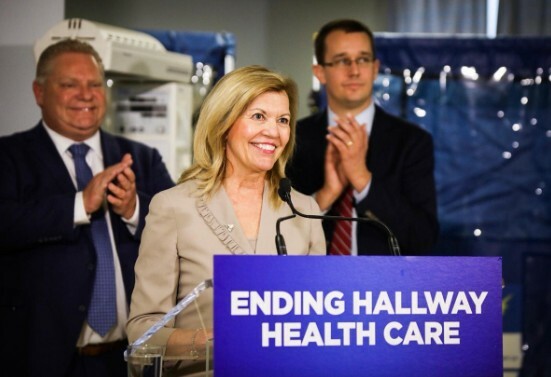 On Thursday Health Minister Christine Elliott said Ontario’s healthcare system is on “life support” as she released a report outlining her PC government’s focus for reform. Then, a leaked draft of a PC bill was characterized by the NDP as the groundwork for a private system. Following a fiery backlash across the province Elliott is now walking back some of her comments, while clarifying that plans to change healthcare will not include a two-tier system with a private model. 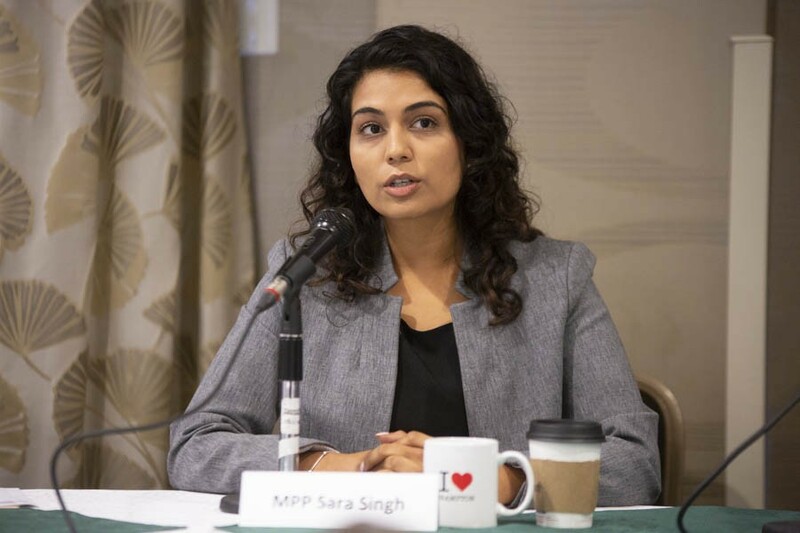 Brampton Centre MPP Sara Singh, Deputy Leader of the NDP, blasted the PC party’s leaked bill, which the Opposition says would create a “super agency”, allow for the privatization of contracted healthcare services and set the framework for a two-tier healthcare system in the province. But Elliott scrambled on Friday to quell the mounting anger across Ontario, after news of the PC’s move spread like wildfire the previous 24 hours. She said the contracting of medical services will not happen, no private hospitals will be allowed and fears of a two-tier healthcare system in Canada’s largest province, where public, universal coverage is deeply cherished, are unwarranted because it won’t happen. With a healthcare system in the city that is so chronically underfunded Brampton has become ground-zero for the hallway medicine crisis. A two-tier system could present a challenge that the already woefully underserviced city is not ready to handle. Rumours in media reports going as far back as the summer last year suggested the Ford government was mulling over privatization. Thursday’s revelation was a confirmation to critics that Ford was doing just that. “We [The NDP] do not support a two-tier system. I think it is privatization of services. The issue with that is those public dollars are going into large corporations,” Singh told The Pointer. The leak occurred on Thursday, the same day a provincial report said that hallway healthcare would not necessarily be solved by increasing the amount of beds. Elliott, when detailing the preliminary report by a panel of hand-picked contributors, said the current system is on “life support” and criticized the NDP as being out of touch, pointing out they have not led the government in more than two decades. Hallway Healthcare: A System Under Strain was published by the Premier’s Council on Improving Healthcare and Ending Hallway Medicine; which was led by Dr. Rueben Devlin, a former provincial PC party president. “This should not surprise anyone. Our healthcare system is on life support. 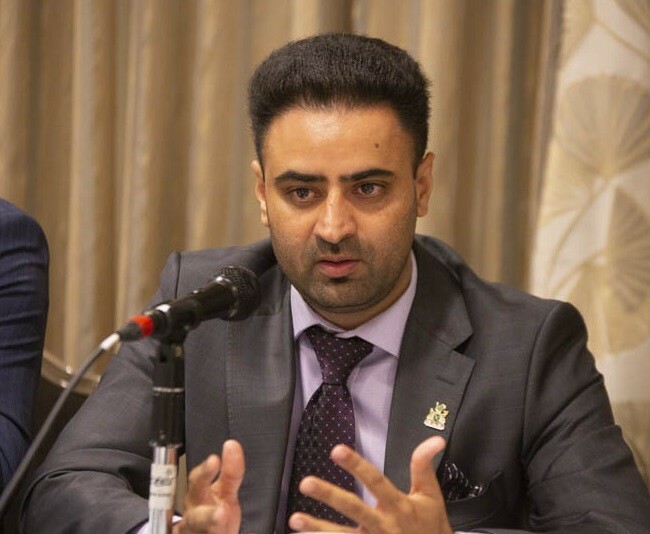 It is a system that has been built for bureaucracy and not for patients,” Brampton PC MPP Amarjot Sandhu told The Pointer. 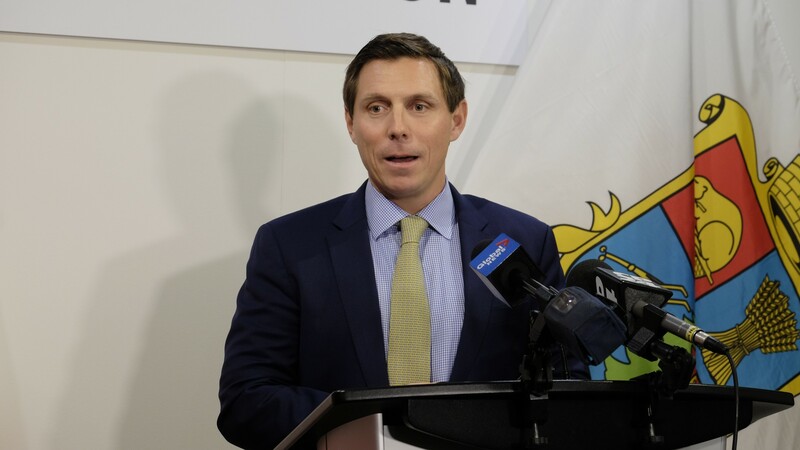 Brampton Mayor Patrick Brown took issue with the report and how it downplays the need for extra hospital beds in underserved areas. “It would certainly be a tone deaf comment if it was within the context of Brampton. We have half the beds of other municipalities per capita. So when you have half the beds and say we don’t need more beds, how do the underserviced communities feel?,” Brown told The Pointer. Data provided by the Central West Local Integrated Health Network says there are 0.96 beds per 1,000 people in the LIHN. That includes Brampton Civic Hospital, Peel Memorial Centre for Integrated Health and Wellness, Etobicoke General, Orangeville Hospital and Shelburne District Hospital. That figure for Brampton’s healthcare coverage is almost two and a half times less than the average number of beds per 1,000 people in Ontario, which has 2.3 beds for every thousand residents. It’s an alarming disparity that puts the lives of Brampton residents at risk. Not having even half the number of hospital beds per capita compared to the rest of the province has created the hallway healthcare crisis that saw 4,352 patients treated in hallways and other makeshift spaces inside Brampton Civic Hospital between April 2016 and April 2017. 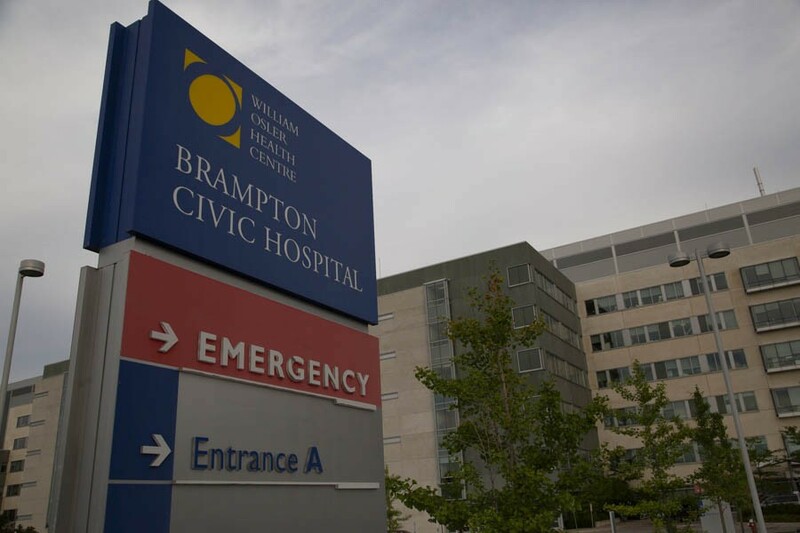 The bombshell disclosure that came out ahead of the spring provincial election led to the coining of the term “hallway healthcare” specifically because of the crisis inside Brampton’s only full-service hospital. In comparison, Winnipeg, a similar sized city, has six full-service hospitals. The government argues that Brampton residents can also use hospitals in nearby cities. When the Ford PCs announced $90 million in October to add capacity in hospitals across the province to fix “hallway heathcare” Brampton was ignored, as the money went to other hospitals, but not to Brampton, despite the fact that the very term Ford used to roll-out his plan, was coined here in the city because of the ongoing crisis at Brampton Civic. The glaring gap in health coverage here, which every day puts Brampton residents at risk and forces long wait times to receive care, makes the PC government’s claim about extra beds not being the solution, sound out of touch with the reality here. 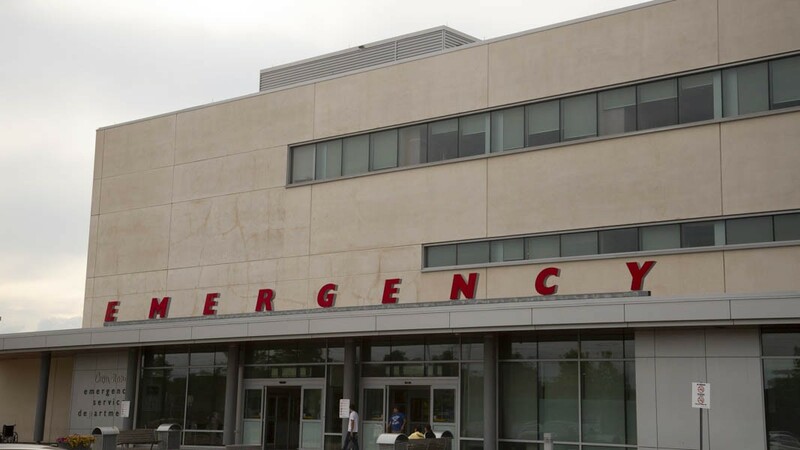 The report contends that too many people are bogging down the emergency departments in hospitals with non-emergent ailments, and that patient volumes can be reduced by offering other services. Brampton presents a unique healthcare challenge because of its immigrant population. Fifty-two percent of Brampton residents were born outside of Canada, and the number is growing. A two-tier system could be an extra complication for immigrants because of things like language barriers and lower incomes. MPP Singh is aware of those statistics and sees the concerning numbers as reason enough to make the healthcare system more accessible. “There are many research studies which indicate that racialized communities have very different health outcomes and very different health needs,” she said. A troubling aspect of the leaked draft bill, according to critics, is the possibility of a provincial super-agency that would oversee healthcare in Ontario. The particulars of the new legislation would give the agency power to “designate” providers of integrated care specializing in hospital care, primary care, mental health, addiction, palliative and long-term care. This is seen as a pathway for allowing private providers to handle such care, in a contracted model. The bill, if passed, would also give powers to the Health Minister to dissolve various healthcare agencies such as Cancer Care Ontario, any LIHN and the Trillium Gift of Life Network, just to name a few. Brown echoed those who say the PCs are continuing to ignore his city.